Forum members share their wisdom on phone mounts and agree on a few standout solutions. The thread started when a forum member confessed to coming up with a whole lot of nothing when he searched the phrase 'cell phone holder.' 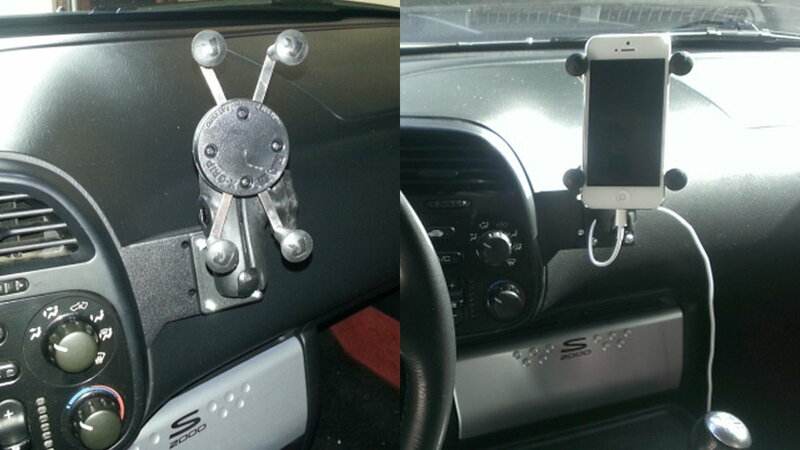 He wanted to mount his phone near his dash and was looking at a dash-mount bracket from Modifry in particular. Right off the bat came the response: "Modifry is the best option man. I have that on my car and it's a solid product," and it was just the first of many praising the mount's location, stability, and build quality. The mount attaches to a factory mounting screw around the side of the instrument cluster and requires the removal of a bit of hidden plastic. 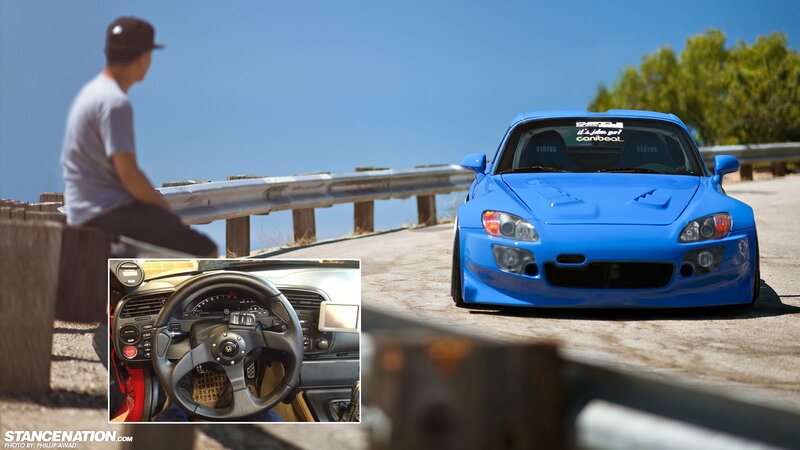 The designer, who developed the mount specifically for the S2000 because he wasn't happy with what was out there, says this about the plastic removal: "Nearly all of my customers find this perfectly acceptable but if you are one of those owners who need to have all your valve stem caps aligned it might not be for you. Just sayin'." The mount features a standard AMPS mounting pattern that accepts a full range of holders and devices. Another member said about the mount's location: "I definitely find that the Modifry mount keeps my phone mounted nice and high, which allows me to always have at the very least, peripheral vision on the road at all times, even when glancing at the phone..."
The Ram X-Grip is just one of the mounts that can be attached to the Modifry. 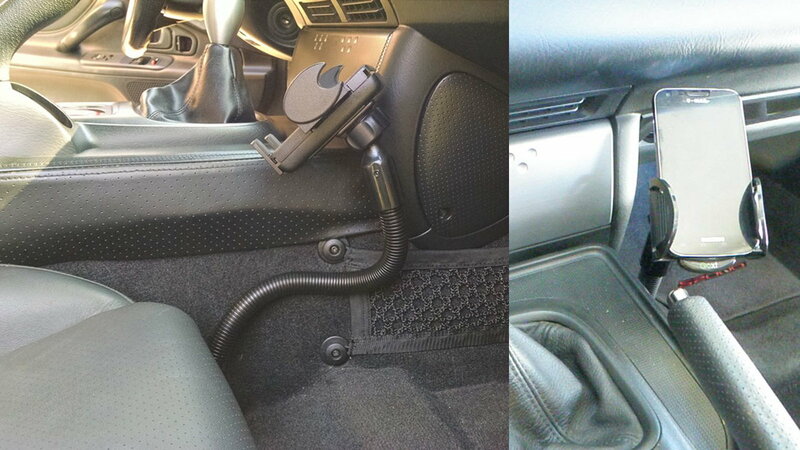 A forum member posted these pics of his X-Grip with and without his phone and added, "Love the position of the phone...I hate having the phone below the dashboard, as I don't feel safe looking down and taking my eyes completely off the road..."
>>Join the conversation about these ways to mount your phone and if you have one of your own right here in S2Ki.com. An elegant alternative to the Modifry is the Nite Ize Steelie. Though members have had less than ideal experiences with the competing iMagnet attachment system, finding it too weak, several members had good things to say about the Steelie. 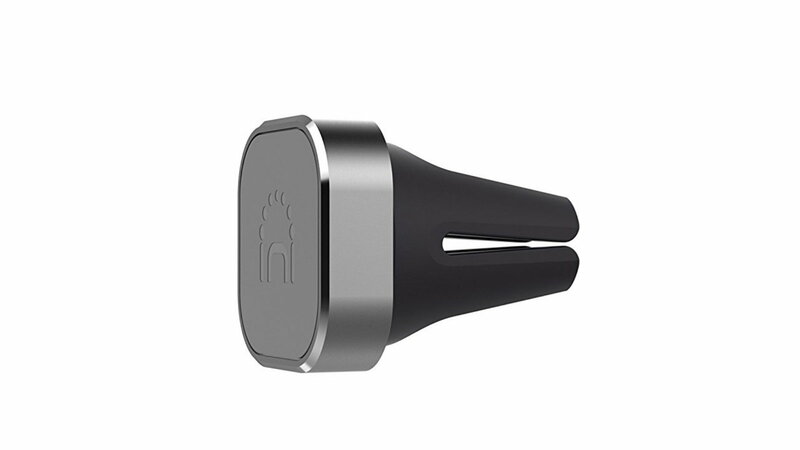 The mount consists of a steel ball that can be attached to any part of your dash, and a magnetic cup that mounts to your phone. 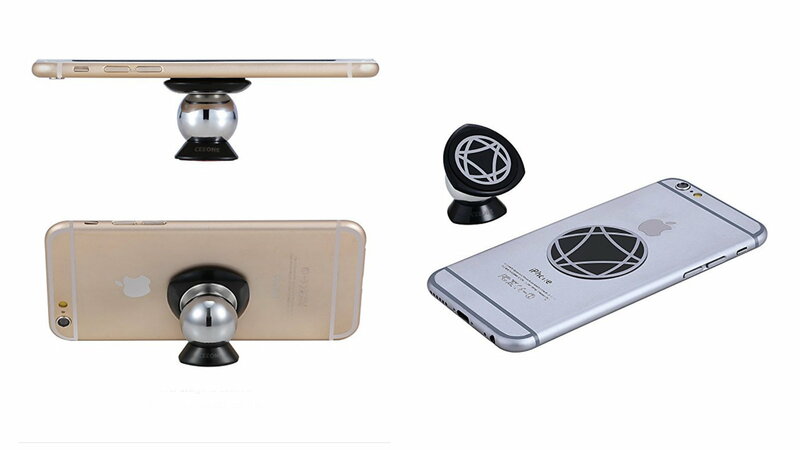 The magnet is fairly strong and allows users to easily adjust their phone to almost any angle. It's an attractive and unobtrusive set-up that one forum member called, "A very "elegant" (in accordance with the KISS principle of Industrial Engineering Design) piece of engineering." Every silver lining has a cloud though, and the Stellie's is that magnet—you don't want to carry a strong magnet around in close proximity to credit and ID cards. "Why didn't they just put the magnet on the dash and the metal on the phone?" we hear you ask. Well, the CeeOne dashboard magnetic smartphone holder did just that. Like the Steelie it can be oriented however users like and holds phones firmly. 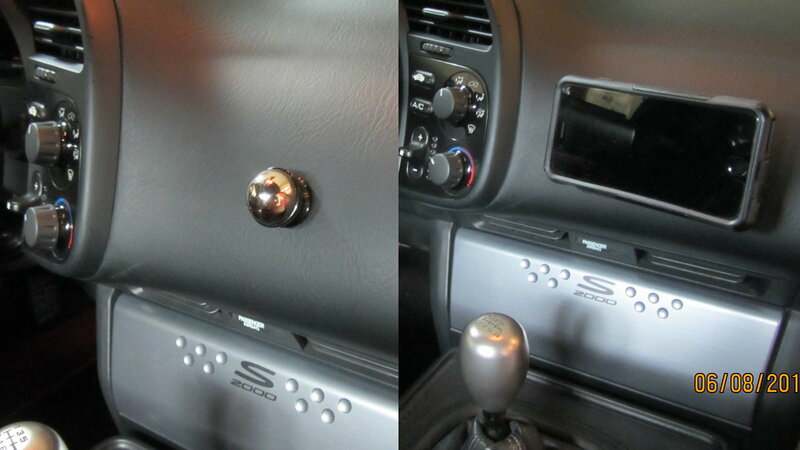 It's a little less cool-looking than a metal ball on your dash, but it won't zero out your magnetic strips. 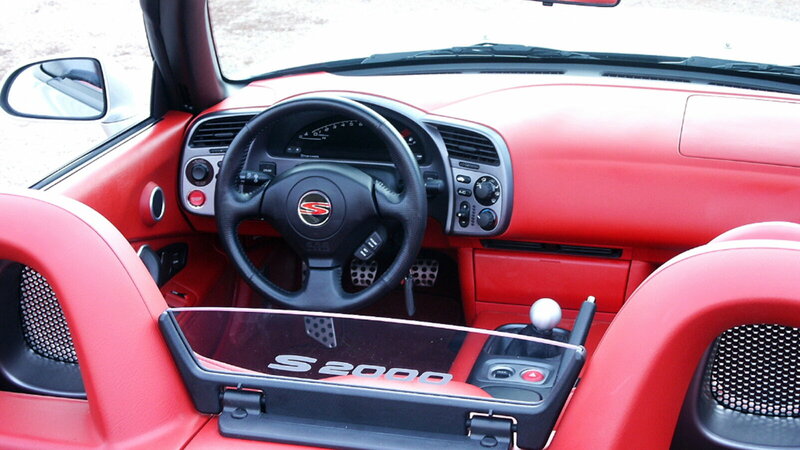 Similar to the Modifry, the PanaVise slips between trim pieces, mounting firmly to the S2000's infrastructure. Also like the Modifry, it has a universal mounting surface that accommodates a variety of holders. This photo shows the PanaVise with a belt-clip attachment fitted. Some forum members like it for its lower, more unobtrusive location. Another forum member favorite is the Arkon mount. It consists of a flexible stalk that mounts securely to a seat rail mounting bolt (some members use McGuard seat lock bolts) and terminates in a holder that can also be adjusted for angle. Easy to position, out of the way, and very solid, the Arkon doesn't allow as much of a heads-up phone location as some members would like, as well as being susceptible to repeated jarring by over-caffeinated passengers. Also in the magnetic mount category is the Spinido air vent clip mount. 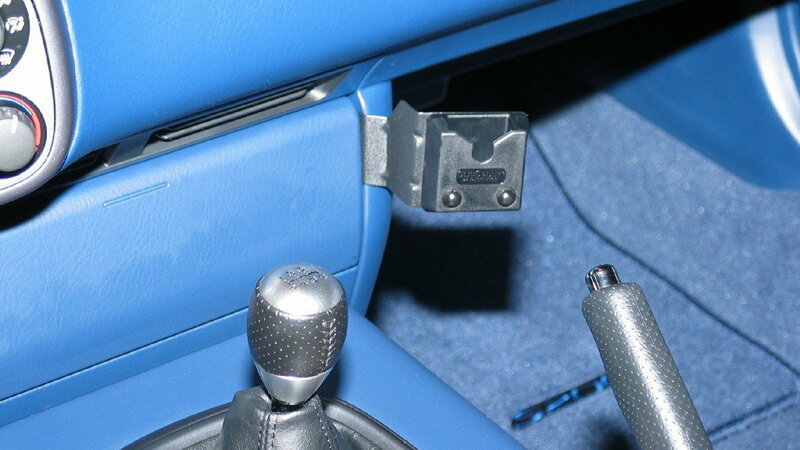 Simple and inexpensive, air vent clips date back to even before pagers were the dominant mobile communication device. Newer systems offer increased security and flexibility, but it's hard to kill the first mousetrap. Even older-school than vent clips is just setting the phone down. As expected some members had comments along the line of 'ignore your phone and drive', but others placed phones within easy view. "I always laid my phone horizontal at the speedometer. Perfect for GPS as it is in the line of sight," said one member. Simplest is always best when it comes to reliability, but sometimes it means your phone will reliably shoot across your cabin during exuberant cornering. If we missed your favorite gadget set us straight in the comments. Happy trails.